Seriously for sale and impressive condition inside and out. Ex: Krisujen, "Yes" is an outstanding blend of traditional and modern. Opportunity to own an impressive example of the classic Feadship motor yacht with 21st century features and style. Always cared for, updated and improved. Koopnautic Advanced Electronic Angle, active fin stabilization. 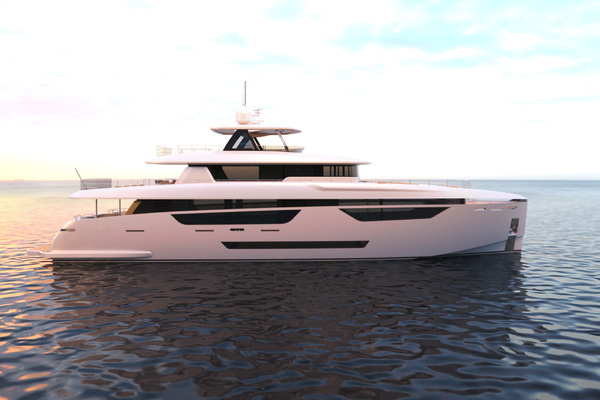 Yes's interior configuration has been designed to comfortably accommodate up to 10 owners & guests overnight in 4 cabins, comprising a master suite, and 3 twin cabins. 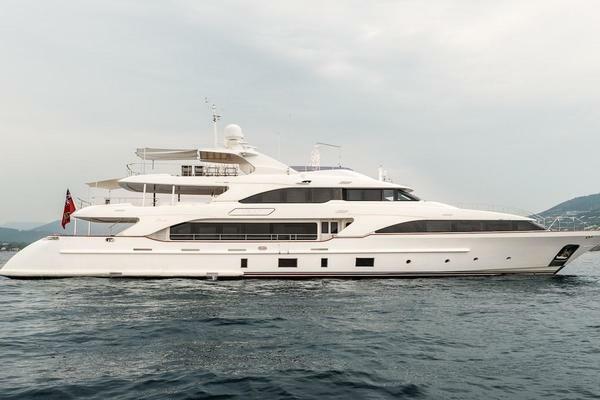 She is also capable of carrying up to 6 crew plus Captain onboard in 3 cabins to ensure a relaxed luxury yacht experience. Additionally there is a nanny cabin next to the owners stateroom. 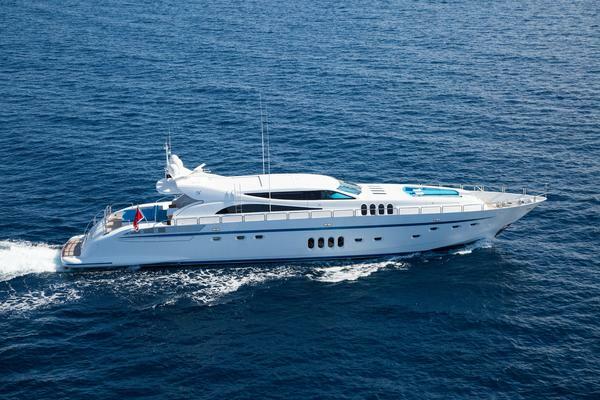 Motor yacht "Yes" was originally built as the world renowned "Cacique" in 1982. 2006 +/- refit was completed. The legendary quality that has made Feadship famous is obvious on every level of the yacht. Her professional interior refit has combined her traditional exterior with an impressive interior that has the look of todays yachting styles. Dependable 3412T Caterpillar power with only 1700 hours SMOH cruises her at 12-14 Knots..
West Florida Yachts would love to guide you through a personal showing of this 126' Feadship Raised Pilothouse Motor Yacht 1982. This yacht for sale is located in Delray Beach, Florida and priced at $3,395,000. For a showing please contact us by filling out the form on this page and we will get back to you shortly! Accommodations: "YES" accommodates ten owners/guests in 4 staterooms plus 7 crew. 2 guest staterooms aft both with twin singles & Pullman bunks (3 total each), en-suite heads, showers, full length wardrobes and abundant drawers. Full beam owners stateroom has a king size berth and his and her heads both with stall showers, Nanny or kid's cabin immediately outside the owners cabin (not included in the count). Forward on deck is the lounge/study/media room that easily coverts to an on deck stateroom with en-suite head and shower. Very comfortable on deck stateroom when desired. Beginning on the upper deck, "YES" has a forward flybridge helm station and seating area, dinette with bar under the forward Bimini. Aft on the upper deck is the expansive boat deck featuring two cranes and two Nautica tenders. Under the large aft Bimini is a lounge/seating area and dining area. A stairwell goes down to the main deck from aft starboard or forward port side into the wheelhouse. AFT DECK: Maintaining the Classic appeal of this 1982 Feadship, the bulwarks in this area are lined with highly varnished teak. This area can be climate controlled, creating a comfortable lounging or dining area in any climate. The main salon is entered from the aft deck through sliding glass doors. The salon features extensive seating, as well as a media center with audio/visual equipment and concealed pop-up flat screen TV. Forward of the main salon, is the formal dining room. Continuing forward from the dining room, a starboard side passageway leads to a on deck powder room, the professional galley, and access to the bridge from the ships office. While modern equipment allows for ease of navigation and communication in the pilothouse, teak & holly floors and varnished panels maintain the classic appeal. A spacious office/chart room behind the wheelhouse houses more navigation equipment, publications, charts and a companionway to the flybridge. (2) Professional 4-burner Viking range with a custom overhead ventilation system Professional quality microwave/convection oven Hobart (90 second cycle) LX30H stainless steel dishwasher Abundant counter and storage space. Impressive freezer and refrigeration units (see photos) in the galley and crew area. Remarks “YES” was originally launched as “Cacique” by Van Lent in 1982, and boasts a timeless De Voogt design and quality which is synonymous with the Feadship name. The yacht has undergone a series of comprehensive refits over the last decade ensuring her systems are all in the best of condition. Current owner acquired her 4 years ago. Since then she has cruised the Chesapeake, New England and SE Florida. Last haul out maintenance was 3/2018 and 2015. The ships office has multiple binders full of surveys, audio gauge results and maintenance by the best in the business. Rybovich Palm Beach and Thunderbolt completed $1,000,000. in routine maintenance 2009-2011. She spent 5 years cruising from a fully protected wet shed in Ft Lauderdale ('08-'13) which explains her impressive exterior gloss.